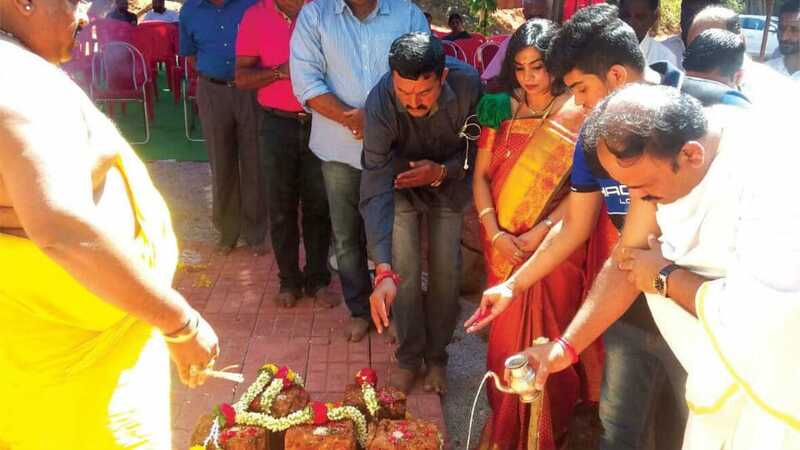 Madikeri: Amidst stiff opposition from the villagers, the foundation stone was laid for a huge temple complex for Shirdi Sai Baba at the eco-sensitive Bhagamandala in Kodagu district yesterday. However, the VIPs, including Ministers, who were invited for the Bhoomi Puja, stayed away from the event. 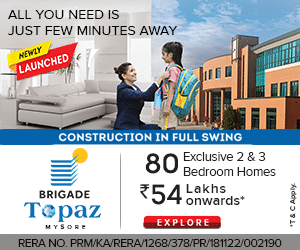 The construction has been initiated by Saiswarga International Charitable Trust, RMV Second Stage, Bengaluru. The Bhoomi Puja was performed by Trust President and industrialist Devangodi Harish and his wife Nalini. A special puja and homas were conducted yesterday morning as part of the ceremony. The temple is coming up in a two-acre private land opposite a Petrol Bunk near the Inspection Bungalow, four kilometres before the welcome arch of the temple town. Speaking after performing Bhoomi Puja, Harish said that the temple complex was a three-year project and stage-by-stage, an orphanage, old age home, free health centre and guest houses for pilgrims arriving at Bhagamandala and Talacauvery will be built. When asked about the opposition to the temple project from the local villagers, Harish said that the construction will be taken up without bringing any harm to the environment. Local villagers have objected to the project by saying that the temple will lower the importance of Bhagandeshwara Temple at Bhagamandala that is revered by both Kodavas and Gowdas. Even the local Gram Panchayat was not informed about the temple construction. The invitation card printed for the event had the names of dignitaries including Sri Nirmalanandanatha Seer of Adichunchanagiri Mahasamsthana Mutt, Sri Sambhunatha Mahaswamiji Working President of Adichunchanagiri Mahasamsthana Mutt, Hassan and Kodagu district, former Chief Minister and the current Union Minister for Statistics and programme implementation D.V. Sadananda Gowda, Karnataka Housing Minister M. Krishnappa, MLA K.G. Bopaiah, MLCs Sunil Subramani and Veena Achaiah. However, none of them turned up for the ceremony.